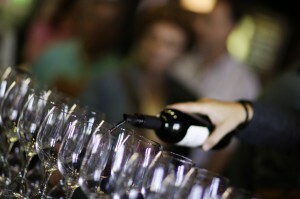 Wine is an integral part of the cultural identity of both Spain and Portugal, dating as far back as the B.C. era. Today, connoisseurs flock to this part of the world with friends, lovers or tour groups to get a truly authentic taste of the culture. But between the number of options available and the crowds one might encounter at some wineries, it can be difficult to know what will make for the best experience. That’s where Valesa Cultural comes in. We have cultivated relationships with a vast assortment of wineries, hotels and restaurants and work with top sommeliers throughout Spain and Portugal. From the best-known vintners to boutique vineyards and new wineries on the rise, we can help you give your travelers an experience they will savor for years. Wine is produced in every region of Spain. From the smooth reds of La Rioja and the cavas of Penedes to the Garnachas of La Mancha and Jerez’s well-loved Sherry, travelers can choose from a variety of both wines and scenery. Just across the border, Portugal’s Douro Valley is practically a household name among wine drinkers. Travelers can explore the birthplace of Port or enjoy multiple highlights on a leisurely boat trip down the river from the city of Porto. Other Portuguese wine regions of note include the Dão, Vinho Verde, and Alentejo regions. Our intimate knowledge of each region means we can create the perfect wine-touring itinerary for any traveler or group, from first-timers eager to visit the big names to seasoned enotourists hoping to discover new or little-known wineries in an up-and-coming area like Aranda de Duero, Galicia or the Pyrenees. Even history buffs will lose themselves in the Wine Culture Museum of Dinastia Vivanco or the medieval wining town of Laguardia with its original Fabulista wine cave. Tours and tastings at wineries are all well and good, but they simply skim the surface of what’s possible or could quench your travelers’ thirsts. Our wine pairings at fine restaurants are custom curated to please any foodie’s palate, while our comparative wine tastings help travelers refine their tastes by comparing Spanish wines to others from around the world. For more hands-on travelers, Valesa Cultural can arrange for them to make their own cava or participate in some of the harvesting activities during the prime harvest months of September and October. For those looking for a more cross-cultural experience, clients often prefer a custom-crafted itinerary centered around the Rioja region, where the Frank Gehry-designed Hotel Marqués de Riscal and other emblematic winery buildings have created the perfect pairing between wine and contemporary architecture. And the tasting lunch in the hotel’s gastronomy restaurant is the perfect way to experience both fine dining and panoramic views of the surrounding vineyards. More independent travelers may want to take advantage of our planned but self-guided tours. Our Honeymooner’s Itinerary, for example, is a wonderful opportunity to have quiet, intimate experiences with our self-driving route of wineries that features stays at many 4-star hotels along the way. 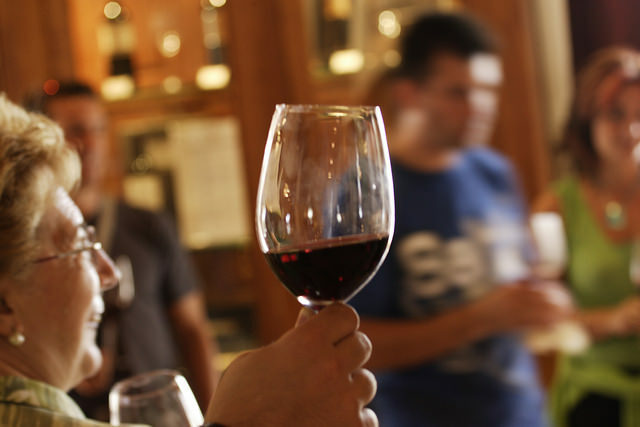 This is just a taste of what Valesa Cultural has to offer wine lovers. Contact us directly for more information on our individually tailored itineraries and wine-touring options. We can even show you how to ship wine home if you come to Madrid!